Group Bookings: Reservations for 6 or more rooms made under the same name and for the same arrival date will be classed as a group booking and may require a deposit or full pre-payment before the date of arrival. Pets: The hotel can accommodate well behaved dogs, subject to prior request and approval by the property. Please contact the hotel directly in advance of your stay if you would like to book a meal. Luxuries such as flowers, champagne and chocolates can also be made available in your room (at an additional cost) by contacting the hotel in advance. Disappointed with food. We had dinner and breakfast at the hotel. Mussels undercooked and overall food quality was underwhelming. This hotel finds itself in a stunning location, right next to a loch and mountains. There is a cosy lounge and library room where you can bring your drinks to, play board games, and sit by the wood-fire. We enjoyed it very much. Dinner was decent, my favorite was their lemon meringue with blackberry sorbet. Room is clean, bed is comfortable. The only thing I would complain about was the lack of hot water in our shower at the end of the day as well as no access to WiFi from our room in the corner. However, great base to explore Glencoe and Fort William from. 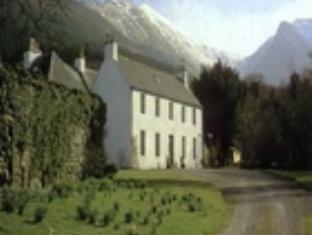 I booked the Ballachulish hotel as it looked good. Staff where ok. Rooms where very dated, like warm water in the morning an even colder by evening. Bedding was clean but room not so. Breakfast was below average. I travel a lot and wanted a better experience than the bland current commmercial hotels but was left disappointed! Next visit to Fort Willliam the Travelo Lodge will get my business. 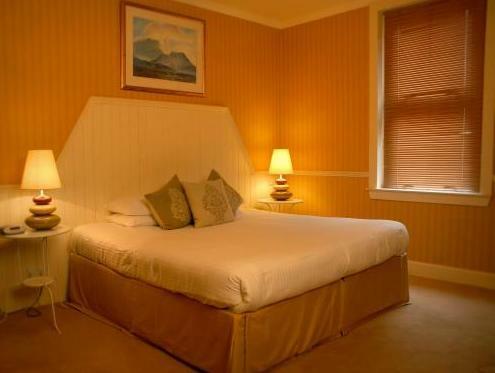 Great hotel, friendly staff and excellent location right on water front with excellent views. Buffett high quality breakfast and really helpful staff. The rooms were a little dated but the view and restaurant were fantastic. There was very little to do in and around the area.